Glasgow Local Food Network: Grow Local, Shop Local, Love Local! Grow Local, Shop Local, Love Local! 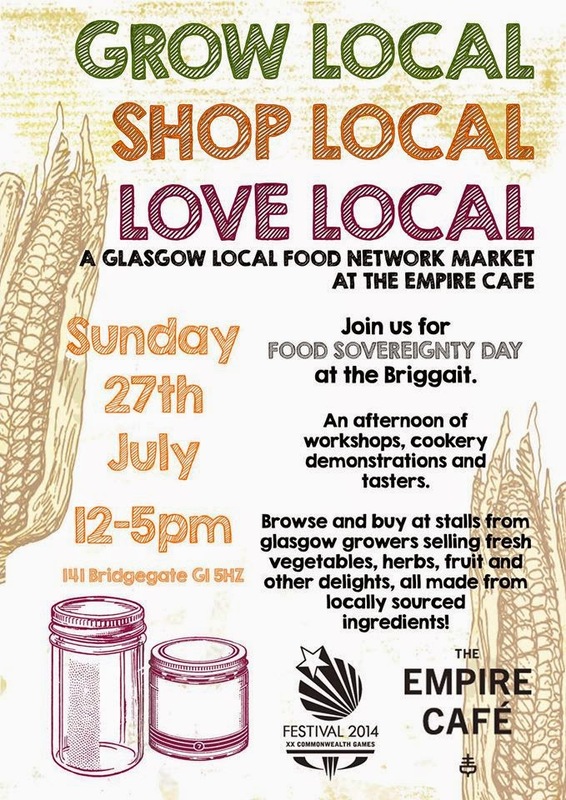 Join us for Food Sovereignty Day from midday to 5pm on Sunday 27 July at The Briggait: An afternoon of workshops, cookery demonstrations and tasters. Browse and buy at stalls from local Glasgow growers selling fresh vegetables, herbs, fruit and other delights, all made from locally sourced ingredients!